Your wedding day promises to be the one of the most exciting days of your life. The months leading up to your wedding will be packed with decisions, phone calls, appointments and errands. At times it all may seem a bit overwhelming, but Cavanaughs BrideShow can help. As the elite bridal show producer in the Western PA area for over 25 years, Cavanaughs BrideShow can help relieve your anxieties and get your wedding planning off to a great start! Cavanaughs BrideShows bring the Best of the Best wedding professionals to you. Its "One-Stop" shopping for all the vendors and services youll need to make your wedding day as perfect as youve imagined. Enjoy hourly bridal fashion shows featuring the newest trends and styles all showcased for you - the bride to be, and your entire bridal party. Youll be able to touch the gowns, see the details up close, ask to see your favorite gown again and most importantly -take your time and enjoy the day. You will meet the most talented Wedding Professionals in your area and you will be able to smell the flowers, taste the cake, see the photos, hear the music and start planning! All the products, services, ideas and information youll need to make your wedding come to life are all waiting for you in one place. Cavanaughs BrideShows give you the opportunity to meet and interview the Best of the Best wedding professionals in your area - all in one afternoon. Set appointments, ask questions, gather information, compare vendors and make bookings if you find that perfect professional. 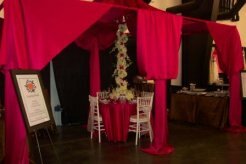 Dont be surprised if you walk away from the bridal show with a great new idea that could give your wedding day just the perfect touch. Make the most of your most precious resource - time. Register to attend Cavanaughs BrideShow today.  Three intimate fashion show stages, featuring the latest, most beautiful bridal gowns and formal wear for your entire bridal party, presented by four expert bridal salons. Each seat is close to the stage for premium viewing. Touch the gowns, talk to store owners, ask to see your favorite gown again and take your time!